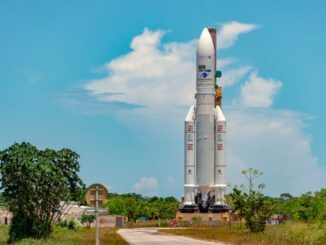 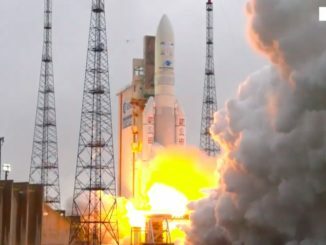 An Ariane 5 rocket fired off a launch pad in French Guiana Tuesday with nearly 3 million pounds of thundering thrust, heading to orbit with India’s heaviest satellite designed to expand broadband coverage across the South Asian nation, and a South Korean weather satellite carrying an U.S.-built imager to track storms and cyclones across the Asia-Pacific. 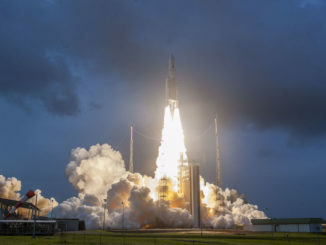 Arianespace launched an Ariane 5 rocket on its sixth and final flight of the year at 2037 GMT (3:37 p.m. EST) Tuesday, blasting off from Kourou, French Guiana, with India’s heaviest-ever satellite and a South Korean weather satellite equipped with a U.S.-made imaging camera. 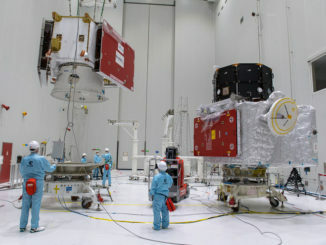 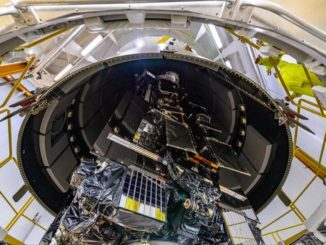 Ground crews at the Guiana Space Center in South America have spent the last few months preparing the BepiColombo spacecraft, a tandem mission with European and Japanese science orbiters bound for Mercury, for launch aboard an Ariane 5 rocket. 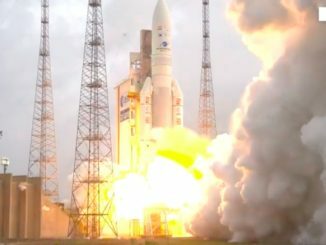 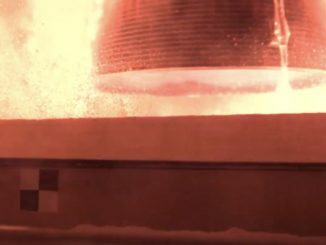 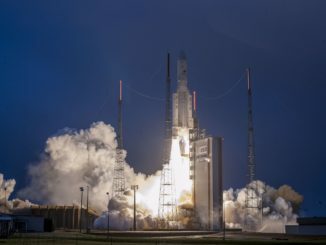 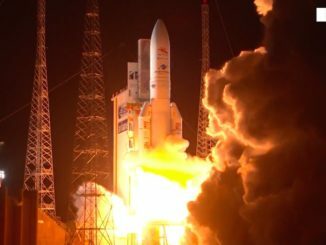 The nearly $1.9 billion BepiColombo mission to Mercury jointly developed by the European Space Agency and the Japan Aerospace Exploration Agency lifted off Friday night from French Guiana aboard an Ariane 5 rocket. 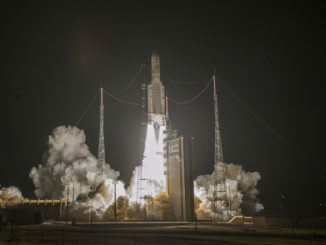 Launch occurred at 9:45 p.m. EDT Friday (0145 GMT Saturday).